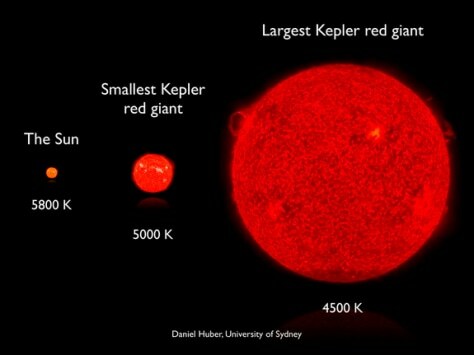 Sizes of red giant stars compared with the sun. Using the Kepler telescope, we have detected oscillations in hundreds of red giant stars. The periods of those oscillations allowed us to study the interiors of these giant stars, which represent the future life of our sun.